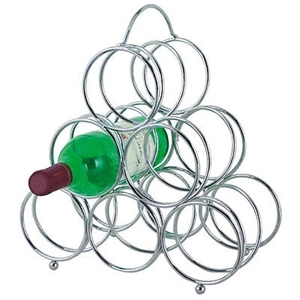 Different Style Wine Rack 10, 6, Bottle Rack Chrome Finish Stylish New Look IT IS THE CONTEMPORARY CHOICE FOR THE MODERN HOME BEAUTIFUL ADDITION TO COMPLIMENT YOUR KITCHEN!! 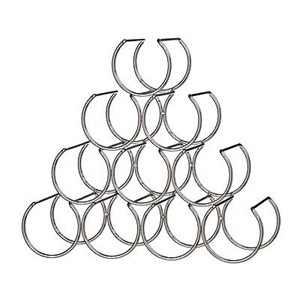 Wine racks are popular, inexpensive gifts for weddings, birthdays, anniversaries and hostesses. You can display in your kitchen or dining room. 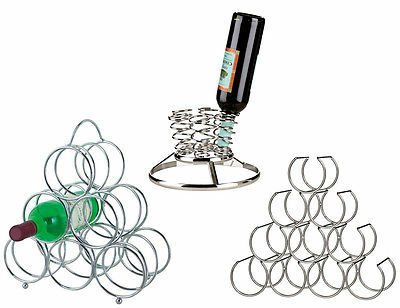 Eventually, you may want another use for wine racks. 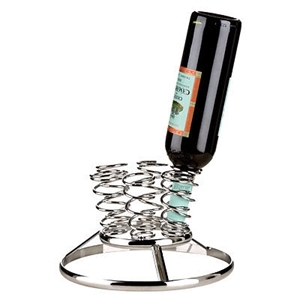 wine racks make clever, attractive storage pieces.